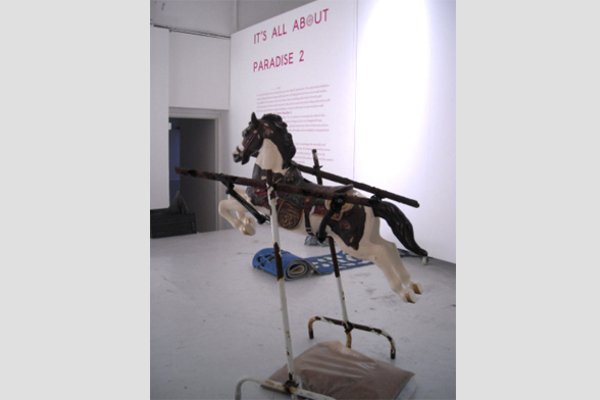 A desire to address the feeling of vertigo created by modern visual culture was the motivation behind It's All About Paradise 2, a nine-month interdisciplinary project developed by seven visual artists and three writers, which culminated in an exhibition, literary readings and workshops which took place in October 2009 at Blank Gallery, Brighton, England. Tila Rodríguez Past and her colleague Ned McConnell organized, fund-raised, curated and exhibited their own artwork as part of the final exhibition. 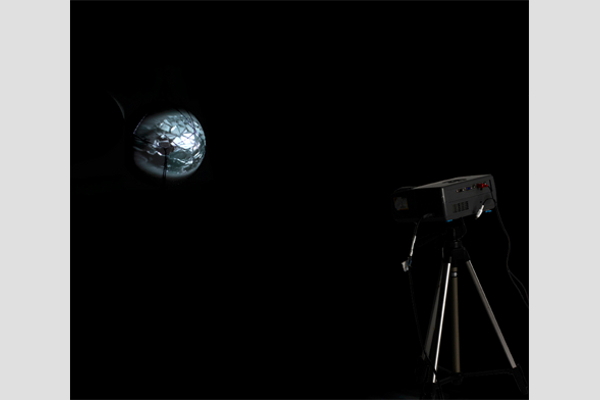 This page documents Rodríguez-Past's work for the project; in order to see the other artists' work please visit the project's official website. In order to read an interview with Rodríguez-Past and McConnell, please visit the project's blog. 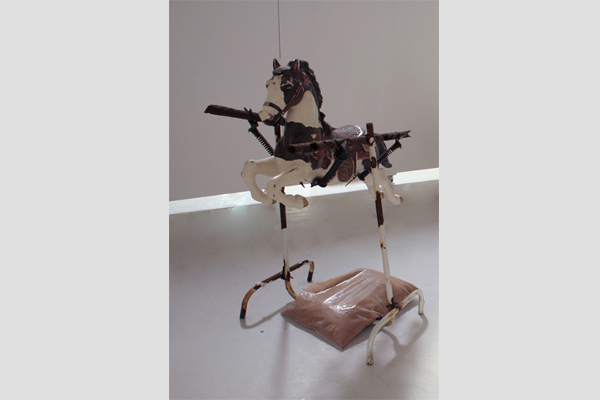 For this exhibition Rodríguez Past made two series of sculptures titled Trick Pony and Cosas Hechizas. 'Hechizas' is a Mexican term used to describe handmade improvised objects which imitate industrial items made in the USA and Europe. 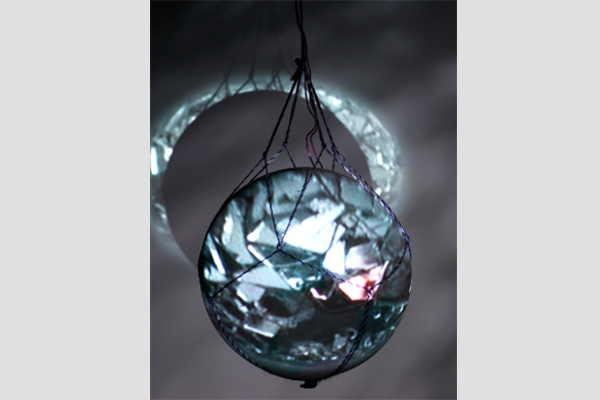 Rodríguez Past's sculptures are imitations of such objects - copies of copies. 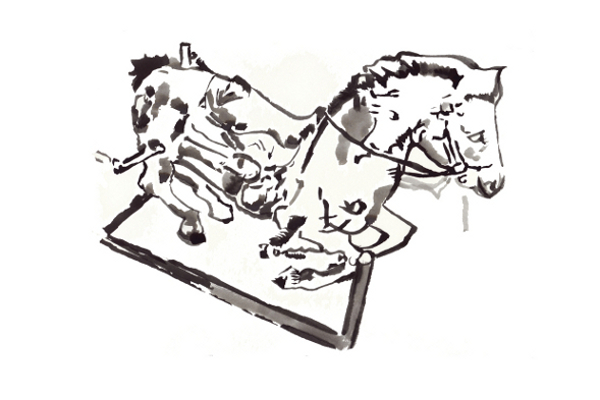 Trick Pony and Cosas Hechizas are reincarnations, but instead of possessing the original objects' western characteristics, they point towards the Mexican method's inventive imperfection. Cosas Hechizas No. 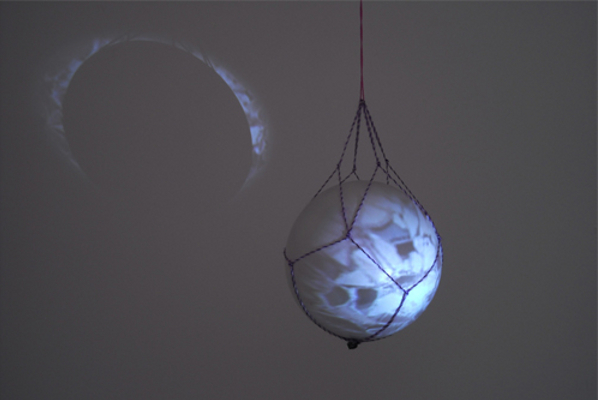 5 is a video installation made with a white beach ball which hangs from the ceiling. version of these trophies. Trick Pony is made with a plastic horse, springs, metal, and sand. These sculptures were influenced by a series of handmade replicas photographed by the artist at roadside stalls between her hometown (San Cristobal de las Casas) and Mexico city, at a café called 'Paradise 2' open 24 hours a day. The duality of the objects and the name of the café alluded to the lack of authenticity, therefore thematically linked. Figuratively speaking we don't know if 'Paradise 2' is indeed a replica of Paradise 1. In order to read an article published in A-N Magazine about this exhibition please click here.